Disposable nitrile gloves will mould to your hand for greater sensitivity. 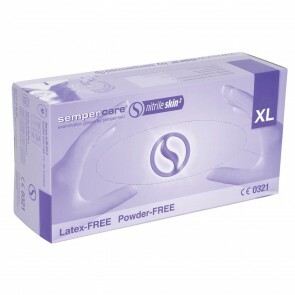 They are latex and powder free and come in a range of sizes from S, M, L, and XL. 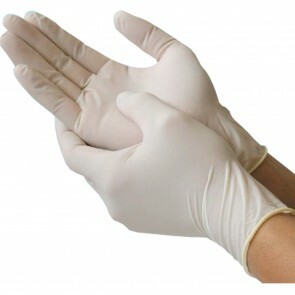 Disposable nitrile gloves are made of a synthetic rubber and designed to mould to your hand for greater sensitivity and fit, enabling you to treat your or others incontinence leakages and spillages with comfort. Out of all medical grade gloves, nitrile are the ones that are most puncture resistant. They are blue, which will make a hole easier to detect than other colours of gloves. Our range of nitrile gloves are latex-free, to prevent any irritation to you or someone you are treating have a latex allergy. The products are non-sterile, so if you do require a sterile glove, then we have a full range of other types of sterile gloves in stock. We have a range of sizes in stock, including small, medium, large and extra-large, in packs of 200. Nitrile gloves are an excellent option if you require a disposable glove that is latex-free and will mould to your hand for greater sensitivity.